commented on "The interest in Pasta, Prayer & Promise continues. Karen Price and I have just returned from the Christchurch launch of the ..."
The interest in Pasta, Prayer & Promise continues. Karen Price and I have just returned from the Christchurch launch of the book, hosted by the Dante Society. 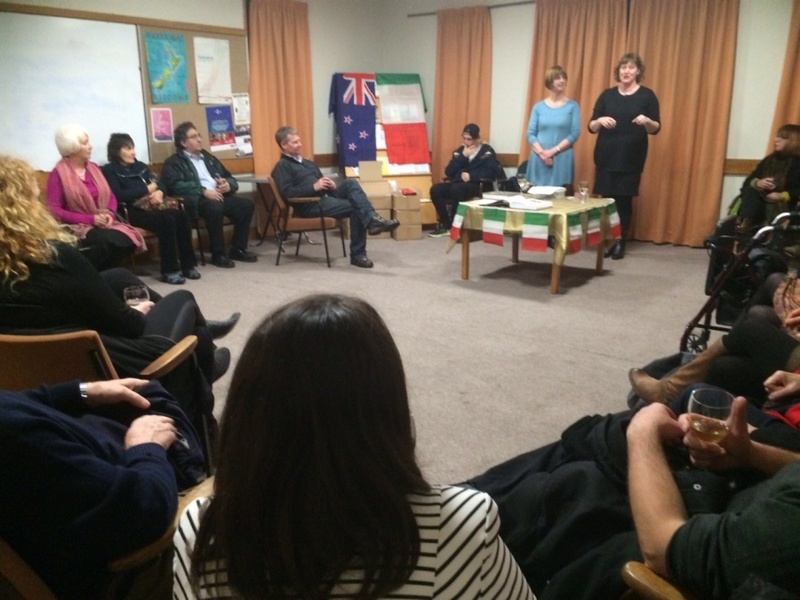 A number of its Christchurch members are more recent Italian immigrants, and they expressed interest in the book and its stories of earlier Italian migrations. Thanks to Wilma Laryn, who organised the event also interviewed us earlier in the day for the Christchurch Dante Society's radio programme, Radio Cartolina, which airs on the Caterbury Access station, Plains FM. I will post a link to the interview once it has aired.